Congratulations to Brandon for winning our February customer photo contest! Brandon's little boy just turned 3 and this is above his new big boy bed. How exciting! Thank you for sharing your photo with us Brandon! Do you feel like your child's room is incomplete and needs a little pizazz? 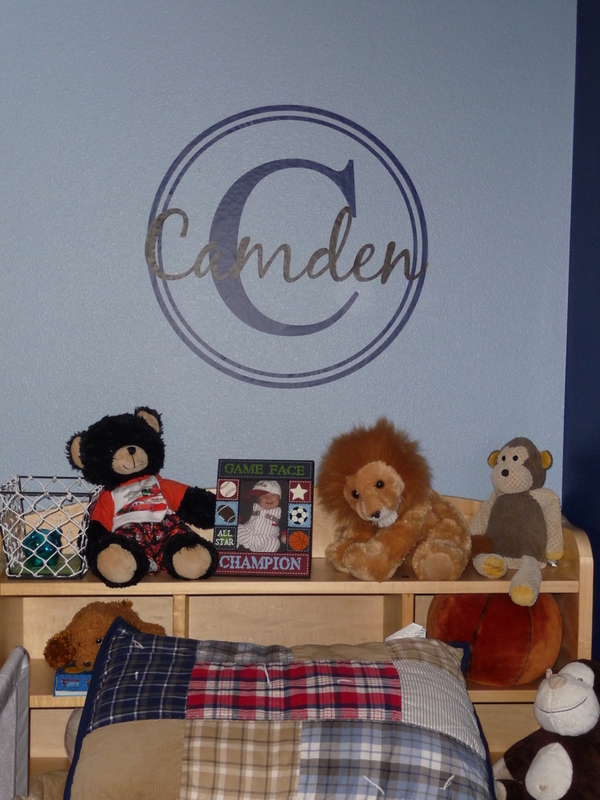 Click here to find this design, or here to view other designs for a boy's room.